A blog dedicated to LEGO news, reviews, and much more! 75237 TIE Fighter Attack Review! Hey everyone! 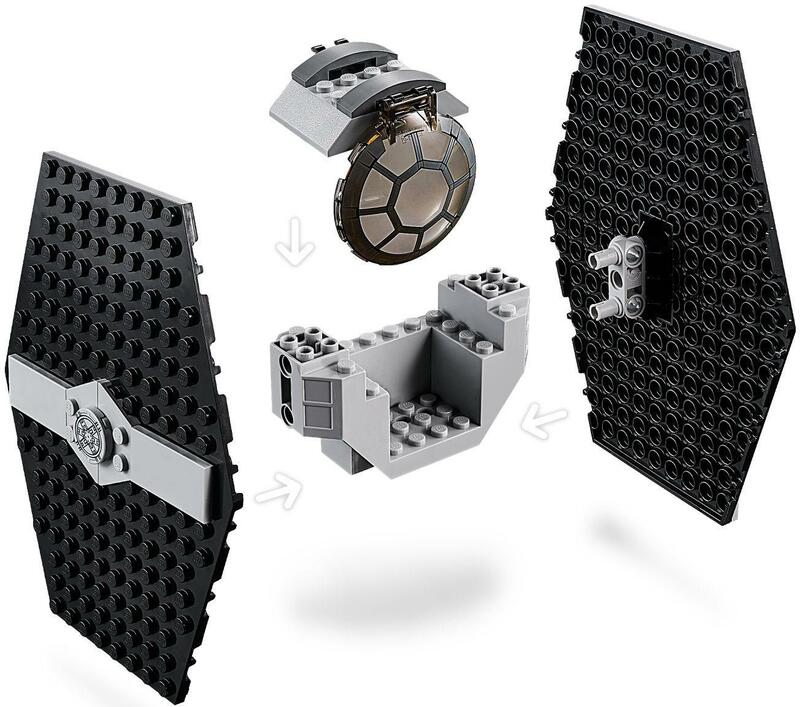 Today I have a review of a new LEGO Star Wars 2019 Juniors set – 75237 TIE Fighter Attack! This is one of the new LEGO 4+ Star Wars sets, with 77 pieces, 2 minifigures, and a retail price of £17.99 (UK), $19.99 (U.S.), $29.99 (Aus), and $34.99 (NZ). Let’s check out the set! 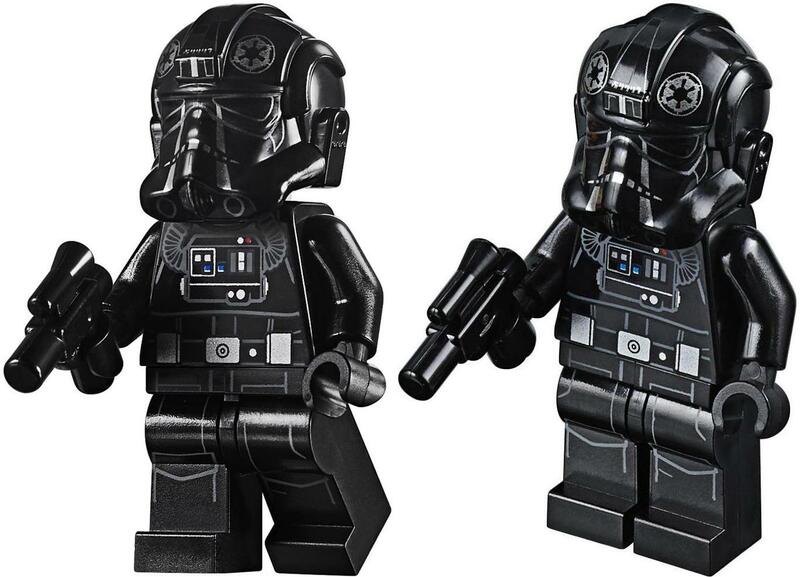 The first minifigure in the set is a Rebel Fleet Trooper. 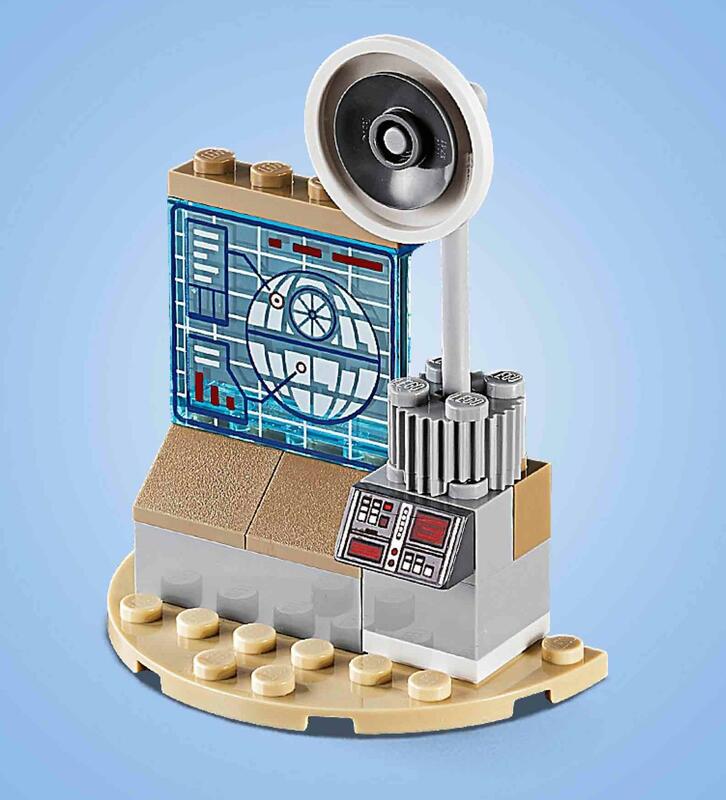 This is my favorite thing about the set and I suspect it will be what causes most older LEGO fans to buy this. 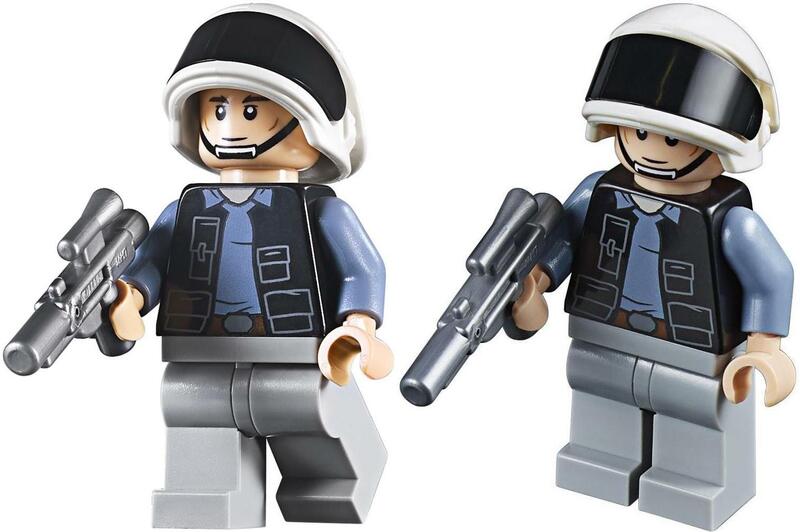 Rebel Fleet Troopers were pretty notable in Rogue One and A New Hope but have not appeared very often in LEGO – the last time was in a small planet set from 2013. This minifigure has been updated and looks great. The white helmet with the black visor is the same but it still looks fantastic, and he has a double-sided head (smiling and angry) with a printed chin strap. He has a new printed torso with black jacket and light blue undershirt, along with plain grey pants. His weapon of choice is a silver blaster. He’s a great minifigure overall and it’s a big shame that LEGO only included him in this set. I wish he was more widely available for army building. The other minifigure in the set is this TIE Fighter Pilot. He is not a new minifigure, having appeared in two other sets, but still looks good. The printed helmet, torso, and legs all look good – I don’t have much to say about it. He has the angry clone face under his helmet and wields a black blaster pistol. Now on to the builds on the set. 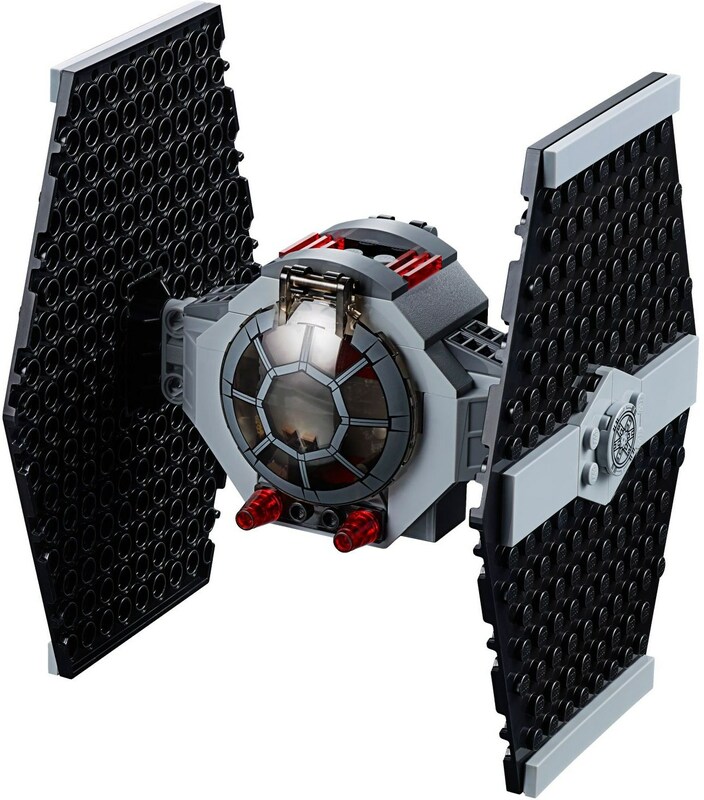 The main build in the set is the TIE Fighter itself. As is expected, the build has been very very juniorised. The wings are made from one single plate with a couple of tiles stuck onto it for grey detail, and the core of the cockpit is also one big piece. The wings are attached to the central core via Technic pins, but it does mean that they wobble around slightly. 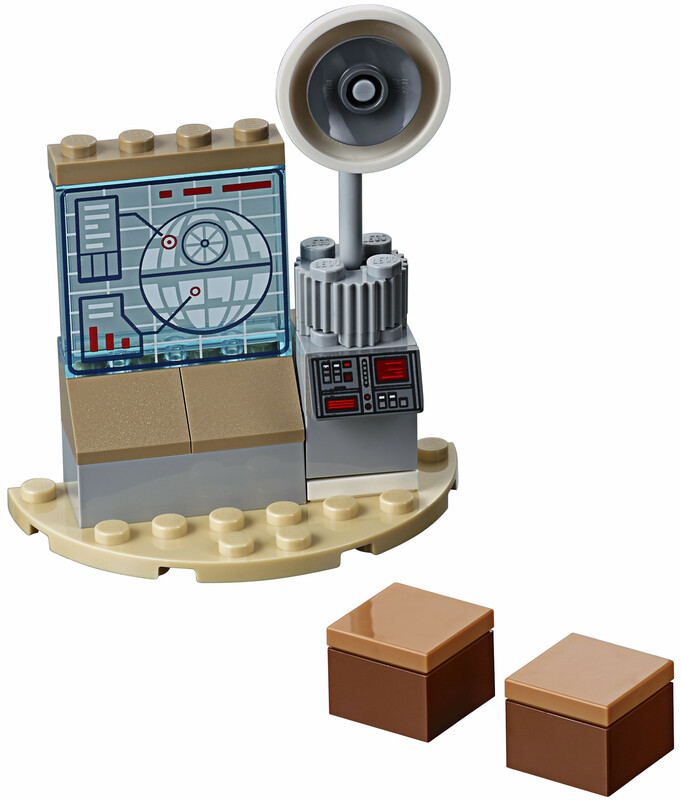 A minifigure can be placed in the cockpit and there are clips behind the back hatch for accessories. Unfortunately, there are no shooting missiles or any projectiles, which feels like a bit of a miss to me. 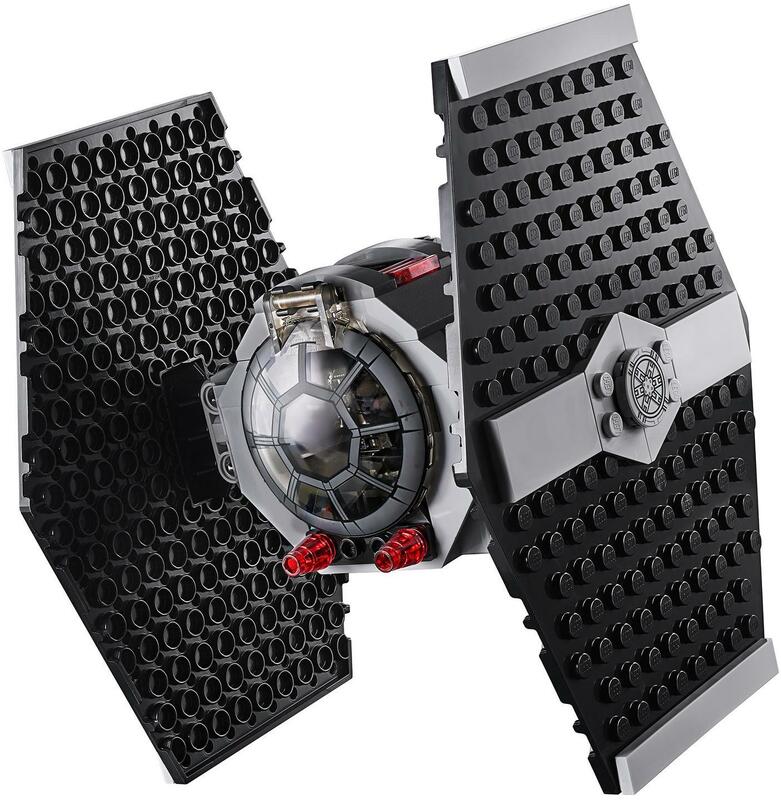 I think kids would have enjoyed actually being able to shoot from their TIE Fighter toy. Instead, there are just a couple of translucent red cones for the “pew pew” lasers. The other side build is a portion of a rebel base. There is a display screen area, plus a couple of boxes. The boxes are very plain and their inclusion is a bit odd to me. The screen, though, looks pretty good to me. There are two printed pieces – one old one for the small control slope and a new one for the Death Star graphic. 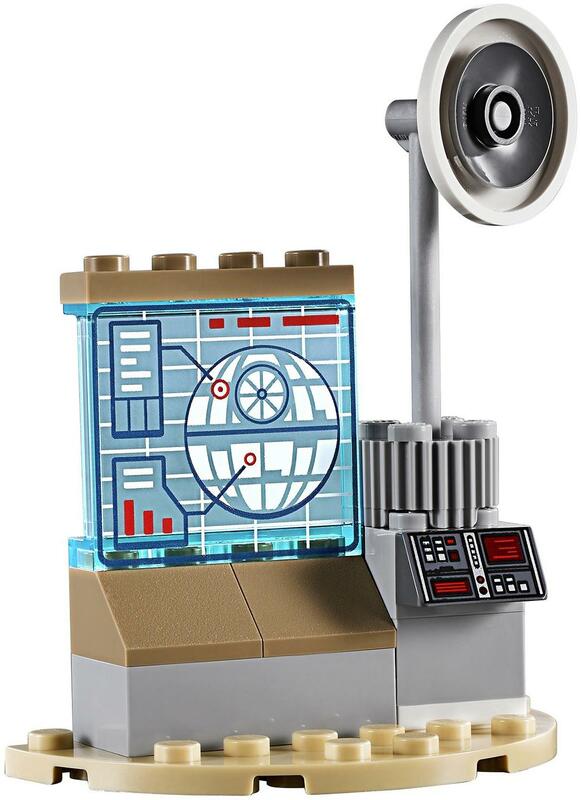 The Death Star graphic looks really good – it’s similar to the sticker from 75055 Imperial Star Destroyer, but it’s actually printed which is awesome. There’s also a satellite dish and some other details but this is a fairly boring side build apart from that printed display. Overall I think this set is a mixed bag. I understand where LEGO is coming from as there are a lot of young Star Wars fans and LEGO wants to cater to them. The minifigures included are also pretty good, though I think more should have been included. Unfortunately, I really do not like the builds and I think many other older LEGO fans will not find too much value from them (apart from the printed pieces). The price is a little bit expensive too, especially in the United States. Three New The LEGO Movie 2 Sets Revealed!! To me, it’s a simplistic build, but a good one. Also nice to get a Rebel soldier minifig after all these years! Indeed! I hope we get the Rebel Trooper in more sets!